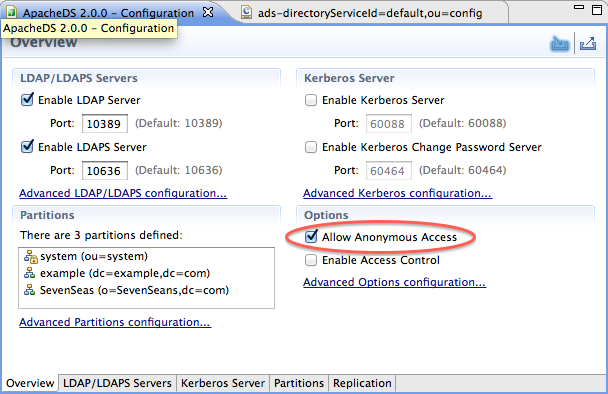 This section briefly describes how to enable and disable anonymous access. Anonymous access to the server is enabled by default. This includes read and write access! A restart of the server is necessary for this change to take effect. Afterwards, all clients have to provide their name (distinguished name) and password in order to bind to the directory service. Learn more about authentication option in the corresponding section of this guide here.